My concern stems from the growing trend of Biblical Illiteracy within the confines of the Christian Church. Permit me to clarify and debunk the notion that all Christians should be seminary-trained, academically-astute and emotionally-reserved. I am convinced that there is a distinction between being educated and trained over against being a student and steward of God’s Word. A seminarian who has no knowledge or desire to delve deeply into God’s Word beyond the textbook is merely an “educated fool.” In contrast, however, I strongly believe that the growing trend of simply not knowing what the Bible means by what it says is flooding the church and Christian community more than ever before. In a world where Christians have access now to rapid informational technology through a smartphone, shouldn’t we know more? We have the ability to surf the net and download sermons and sermon helps and illustrations; where YouTube and Streaming technology has given us the ability to listen to sermons and studies from start to completion. My father used to tell his preaching comrades, “In a world with all of this technology, a preacher has no excuse for not preaching.” He was not attempting to lower the standard of sound and consistent study; but simply reminding us that the tools and information is readily available and there for the asking. Tragically, we are doing a poor job; and it shows. – It shows in the church community through our quotes, concepts and ideologies. – It shows in ‘gospel’ music. – It shows in how we misquote the scriptures. It starts with the preacher! With age should come maturity. I’ll be a little older in a few weeks. And one of my goals going forward is to make God’s Word as clear as I possibly can; and communicate what He means in the clearest manner I can, consistent with sound doctrine, biblical truth and a God-centered Christology. How can we possibly approach such a tall feat? 1. Spend time with God in prayer. Nothing of eternal significance can happen without prayer. Prayer is the channel to which we turn in order to establish a connection and frequency with God that diminishes all of the strange noises we keep hearing in our worldly ears. I encourage myself and everyone to take time and learn the art of Kneeology. Of course, there is always the temptation to miss our time with God, in lieu of schedules, jobs, people and responsibilities. But God is merciful and gracious. As soon as we finish all of that, He is still waiting to hear from us and talk to us. 2. Spend time in the scripture. 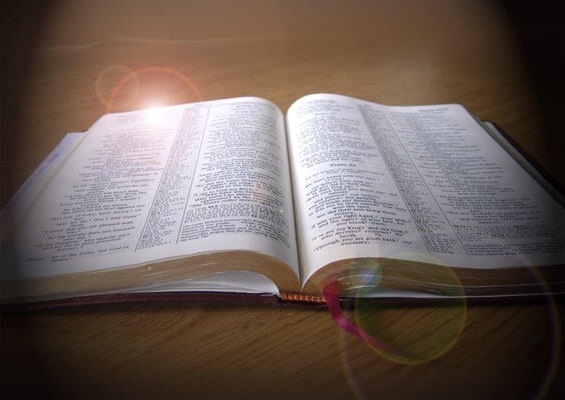 It is important to read the scriptures devotionally. It is also important to read the scriptures systematically. When one reads the scripture systematically, one should spend quality time asking God to speak to them. After all, it is His book; and He knows the exact meaning of what He wrote, what He said or why He allowed it to be a part of the historical canon. 3. Spend time studying the scripture. 1. What is God saying in this text? 2. What is God saying to the recipients in this text? 3. What does it MEAN to the recipients in this text? 4. What does this mean to God in the text? 5. What are the major doctrines and themes in this text? 6. What does the scripture say that affirms this text? 7. What is the tension in the text? 8. Who is the antagonist, subject, protagonist, etc. in this text? 9. Where am I (and the human race) in this text? 10. How am I to live out the principles, message and truth communicated in this text? 4. Spend time reflecting and living the scriptures you’ve read. The greatest sermon many will ever preach will require no words. Much of theology is biography and autobiography. As a preacher of God’s Word, I should be trying to live right, even if I fail to hit the mark every time. Others are watching me; but most importantly, GOD is watching me; and He will honor the one who seeks to follow His Word. 5. Spend time integrating the scriptures into the overall arena of your world. Every Christian should have a way they see and view the world. I wear glasses because I don’t have perfect vision. The Bible, for the Christian, is our spectacle, because we have worldly views with our imperfect eyes. We should view every hot topic, crisis, issue, problem, disagreement, controversy through the lens of God’s Word. When we do this, I believe it will lead others around us to build on the firm foundation of God’s Word; and we can empower and equip others and ourselves in becoming strong couriers of God’s truth. This, in turn and result, will lead to a Biblically Literate people who aren’t intimidated or phased by any wind of doctrine.